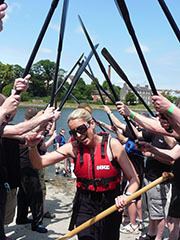 Teams can consist of 17 – 20 people; 16 paddlers, 1 drummer and up to 3 reserves. 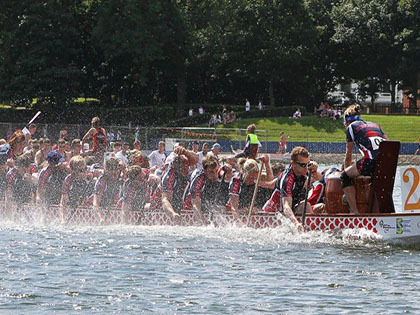 The minimum numbers for a team is 12 paddlers and 1 drummer. 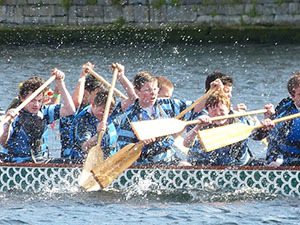 For the Hong Kong Dublin Dragon Boat Regatta, international teams can compete with 20 paddlers, 1 drummer, 1 helm and up to 4 reserves. 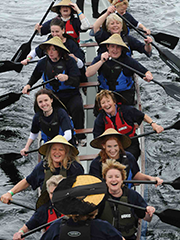 Entry forms for any of the IDBA regattas can be obtained by emailing info@dragonboat.ie. The IDBA are always looking for new venues, so please do not hesitate to contact us with your suggestions. 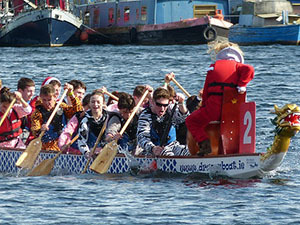 Locations: Grand Canal Dock, Ringsend, Dublin 4 in conjunction with Surfdock. River Barrow, Carlow Town Park, Graiguecullen, Carlow. National and international research clearly indicates that physical activity and a healthy lifestyle can reduce the levels of obesity and reduce the chances of getting cancer by 30-40%. Encouraging regular physical exercise from the earliest possible age is desirable. There is a need to communicate this message with children in a non-preached manner and particularly during teenage years where a lot of children opt out of sports. 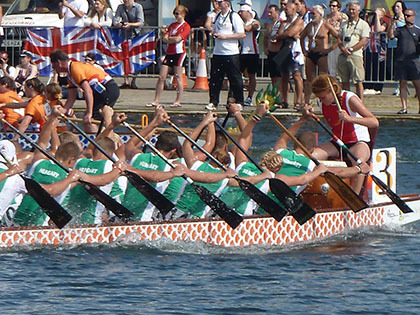 Dragon boating is accessible and fun and as a new sport very attractive to beginners and those who dislike the standard school sports. It is ‘do able’ from the outset and really engages the participants. 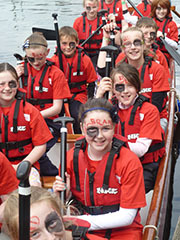 Dragon boating helps develop a high level of fitness and is a great team sport.